Walden Media is giving away two free gifts just for registering to their site. Go Here to get a free copy of Amazing Grace DVD and a 2009 Calendar. Amazing Grace is a movie about a slave trader who turned to Christ and worked to abolish slavery in Britain. A true Saul/Paul story. Couldn’t we use more of those stories in our lives? 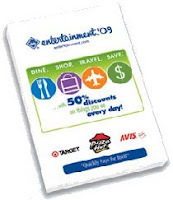 You have 2 more days to get the Entertainment book for $10. This book retails for $25 but Walgreens has a coupon for $10 off. If you spend $25 (before coupons) you get $5 RRs. Thus the Entertainment book will only be $10. I bet that there are coupon in the book that are worth more than $10. Have you signed up for the Lowe’s Magazines. These magazines are sent straight to your home and sometimes contain money savings coupons like $5/$25. It is worth the free subscription! Sign up Here. 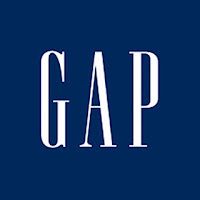 Use the promo code 20FREE at checkout to get $20 off plus free shipping on an order of $100 or more at Gap.com. This deal expires Sunday, 12/14.